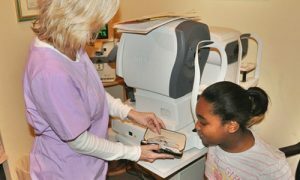 Our opticians are trained to help you find the best fit for your specific needs and explain how different lenses and frames will impact your vision. They will help you narrow down your choices so you can find the look, fit and functionality you want from your eyewear. If you are a bifocal or progressive wearer, we offer the latest in custom design progressive lenses, brands like Varilux and Kodak. 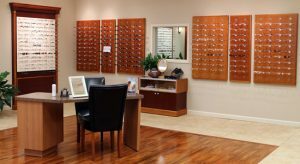 New clients and all our current patients are welcome to visit our optical with their current prescription – no appointment necessary. Because we want you to feel confident in your optical purchase, all of our frames include a full year warranty! We have a huge inventory of all the latest, most advanced optical lenses available today. We can duplicate your prescription from another Doctor and provide you with a new prescription. 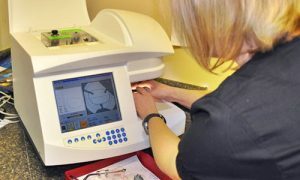 Our lab is capable of producing the most intricate, detailed optical work and all of our lab personnel have years of experience and training. 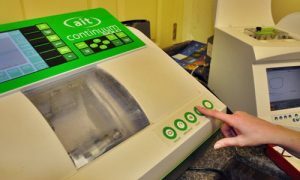 We have one of the most advanced, fully computerized optical labs capable of making almost any prescription lenses to exact specifications. We will fill a prescription from any Doctor. 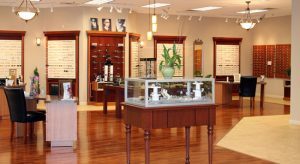 So whether you are in need of a bifocal, trifocal , progressive lens or polarized prescription sunglasses look to us for quality and satisfaction. 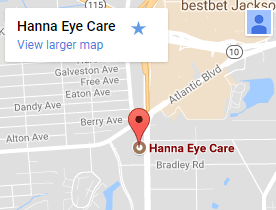 If you are looking for the lightest, thinnest lenses in the world – they can be found at Hanna Eye Care.